There s only one life essential you really need God s Word. 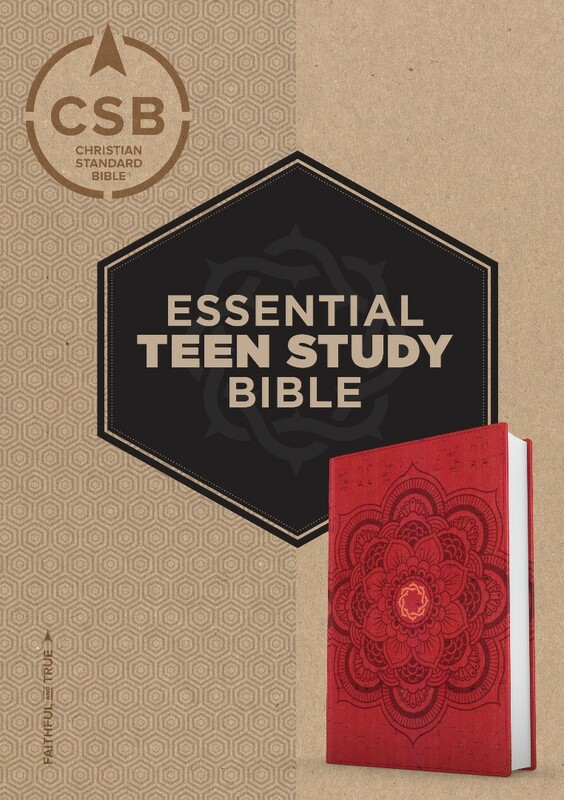 The CSB Essential Teen Study Bible can give you all the tools you need to tackle this life and learn to live it God s way. Filled with hundreds of study helps and 146 devotions written especially for teens, this fully designed, four-color Bible will help you apply God s Word each day and connect with Him as never before. Features include: ? 146 devotions on redemption, written specifically for teens ? Redemption Thread feature from Genesis to Revelation to help readers understand how each story points us to Christ ? Respond feature that guides students on how to apply Bible passages to their lives ? Behind the Story feature with in-depth info to better understand biblical text ? Essential Questions feature with the answers students are looking for ? Memory Verses to strengthen teens faith ? 99 Essential Doctrines that all teens need to know ? Introductions for each book of the Bible ? Full text of the CSB (Christian Standard Bible) ? Study notes ? Full-color maps Part of what makes the CSB Essential Teen Study Bible so special is the readable, faithful-to-the-original text of the Christian Standard Bible. An independent study ranked the CSB among the most readable translations, and also among the most reliable. So the CSB is a trustworthy, easy-to-understand resource to study and memorize today and live and share for a lifetime. CSB Essential Teen Study Bible, Red Flower Cork Leathertouch by CSB Bibles by Holman CSB Bibles by Holman was published by B&H Kids in March 2017 and is our 60125th best seller. The ISBN for CSB Essential Teen Study Bible, Red Flower Cork Leathertouch is 9781433648717. Be the first to review CSB Essential Teen Study Bible, Red Flower Cork Leathertouch! Got a question? No problem! Just click here to ask us about CSB Essential Teen Study Bible, Red Flower Cork Leathertouch.